The CombiFix-II is the sucessor of the most succesfull gapping and correction machine for youngplant trays ever. The CombiFix-II is still based on a one-frame machine. The accuracy and speed dramatically improved and the CombiFix-II is with distance the best and fastest gapping machine worldwide. It selects the incoming trays on the optical appearance of each individual plant. Empty plugs, or bad and too smal plants are removed at the a blow-out section. Empty plugs are collected and discarded from the CombiFix-II through a waste conveyor belt. Now, the CombiFix-II will allocate one tray as a donor tray which provides the plants. Other trays will receive plants, thus being corrected to 100% full trays with qualified plants. 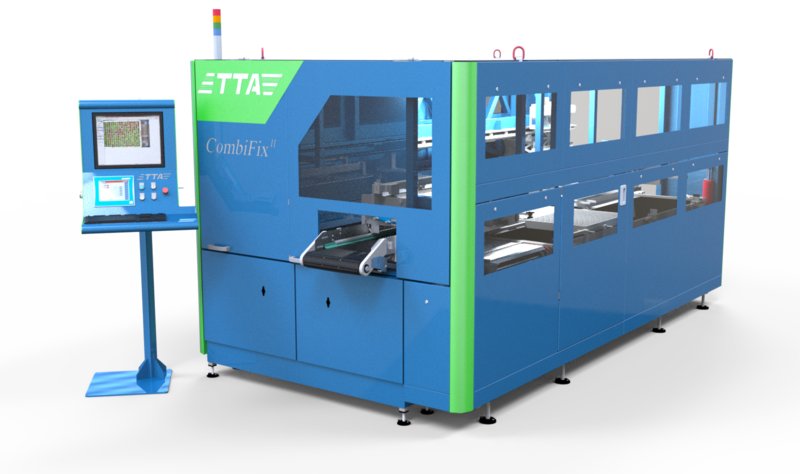 The CombiFix-II is designed as a small single frame (3,8 x 2,2 meter) in which all processes occur. Destacking units and discard rollers are available.